A Female Whisky Lovers Perspective On All Things Pertaining to Whiskies. Most people vividly recall and cherish their memories of firsts in their life. Their first bicycle, first day of school, first kiss, first date, first dance, first love, even their first car. Naturally I remember fondly all those things, but my first taste of single malt scotch is one of my most favorite memories of all. It was Laphroaig 15 yr, and I’ve been anxiously awaiting the 200th anniversary limited release, as it’s been several years since they replaced it with the 18 yr old expression. Well, tonight on my regular weekly visit to Lock & Key Whiskey Bar, I got the opportunity to get re-acquainted with a few warm, and happy, 15 yr old memories in a bottle. It’s remarkable, and oddly funny how certain smells trigger events, people, places long past. Usually it is food smells, the aroma of baking bread, cookies, frying bacon, barbecue, coffee brewing, that evoke mental images long stored in our memory archive, but the aroma of single malt whisky, Laphroaig in particular, doesn’t just recall, it refreshes certain memories. The sharp crisp tang of ocean air, the richness of smoke blended with earthy peat, that melds into a soft, sweetness, not quite fruity, more dark and creamy like the butterscotch pies mama made every Christmas. Each inhalation of Laphroaig 15 carried me farther down memory lane, adding color to mental images blossoming in my mind’s eye. Knowing how good it once was, my expectation of the palate was pretty high, but I had to savor my first taste in years, and it exceeded my expectations. Smooth, warm, the smoke and peat purling together in a flavor harmony of perfection. I can’t describe the palate with specific, precise flavors, so I’m just going to share what Laphroaig 15 yr brings to mind with each sip. Memories of chilly autumn evenings doing chores in the barn, cleaning stalls, the sweet smell of fresh cedar shavings mingling with saddle leather, manure, and horse-flesh, the only sounds that of rustling hooves, and the munching of hay. Sitting around a bonfire, laughing with life long friends, the crackle of flames, and popping of pine pitch punctuating the retelling of past adventures. The boom of thunder, crashing of waves, as a storm breaks over a Gulf of Mexico beach, the emerald water glowing against the indigo bank of thunderheads boiling on the horizon, as lightning hisses and strikes at the whitecaps, ozone thick in the air. Cushy leather furniture, curled under a cozy knitted afghan with a favorite book, the pages dog-eared, and musty. It might sound silly, and overly romantic, perhaps maudlin and trite to some, but I don’t care. Go sit in the corner and slurp your dram with your dead imagination, and lifeless taste buds. Part of enjoying whisky is the joy of what it reminds you of, how it soothes the spirit, and warms the soul. Good whisky, especially the Islay single malts, taste of old and new, wild and fierce, yet friendly and comfortable. Laphroaig doesn’t just remind of my past, it takes me to a place I’ve never been, but I know is my true, original home. 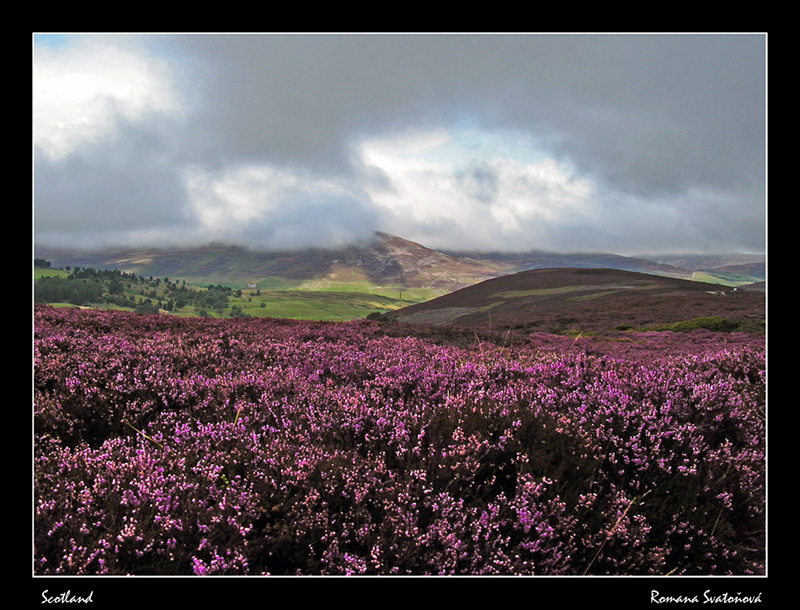 It tells me of my Highland ancestors, of heather cloaked hills, murky lochs, and craggy peaks, where peat brown water rushes through the burns. The land where my family roots first took hold. Why do I love this whisky so much? Because for now I can only imagine, but if Scotland had a flavor, it would be Laphroaig. Remember to designate a driver. Drink responsibly! Slàinte mhath! We all know the old adage, “you get what you pay for”, and most have experienced first hand just how true that saying can be. Purchasing a good single malt can be daunting, with so many to choose from, and the price can also be prohibitive, but quality doesn’t have to cost a fortune. As a rule, the older the scotch, the more expensive it is. 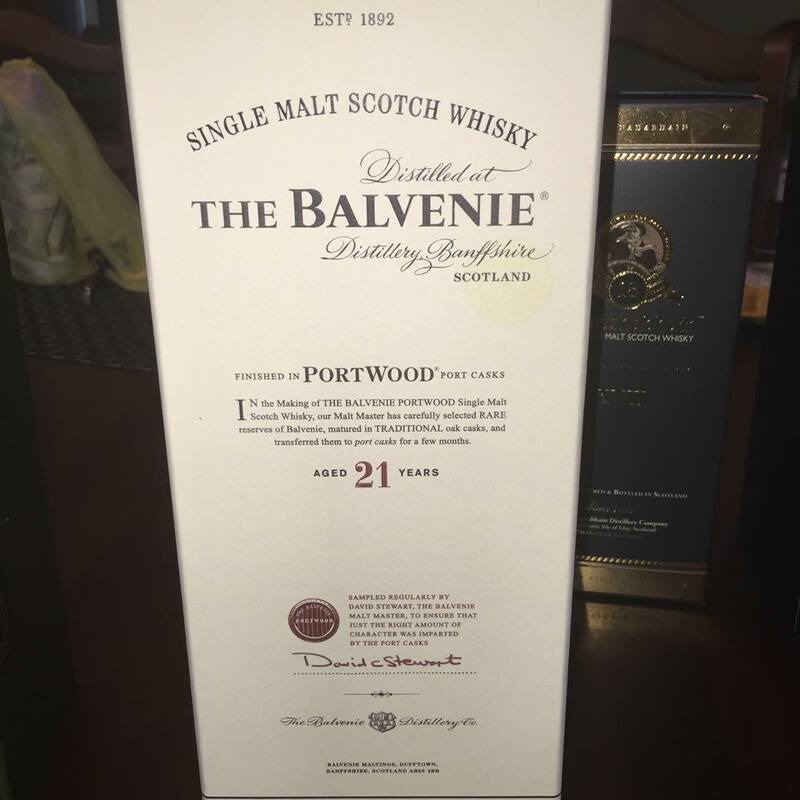 Having once been gifted a bottle of The Balvenie 21 Yr Portwood, I can attest, the quality is worth the cost. Yet, while I have higher end tastes, my budget can’t support it, as unlike fashions and accessories, alcohol rarely goes on clearance, but there are quite a few excellent brands of single malt under $70, Why $70 and not $50? Well, most women pay at least $50 to $70 bucks, if not more, for salon, and/or spa treatments, and anytime you find a designer item under $100 you grab it, so I set my price point at $70, although there are several excellent single malts under $50. Just because I’m starting with the lowest in price, doesn’t mean the taste matches the cost. Glenmorangie The Original is not just a very economical pour (Under $40), it also has a clean, fresh, yet fruity flavor, hinting at ripe peaches, without being too sweet. This 10 yr old whisky is perfect for someone just delving into the world of single malt scotch, being affordable, and mild on the palate. There are numerous 10 to 12 yr old Highland/Speyside single malts that compare to Glenmorangie in price, and are similar in taste, such as The Balvenie 12 yr, Doublewood ($44 on average) The nose is sweet, fruity, the Oloroso Sherry really stands out, yet the palate is mellow, blending layers of the sherry sweetness with a rich, spicy nuttiness that leads to a warm, lingering finish. 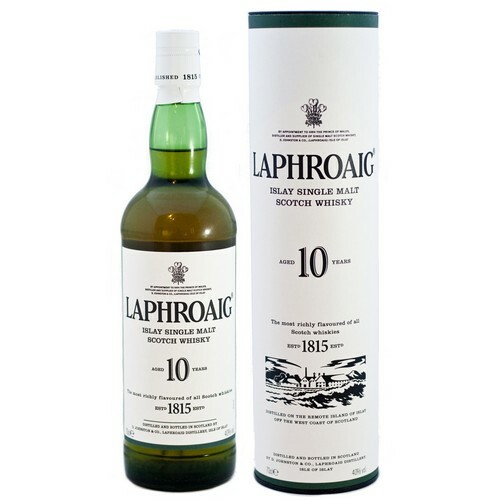 If you’re a peat head like me, Laphroaig 10 yr ($45) is a perfect combination of heavy peat, smoke, layered with sweetness, and brine. It’s one of my favorite Islay single malts. As previously stated, generally, the older the whisky the more expensive, but with the current NAS (non age statement) trend, that is no longer the rule of thumb. Hence my next selection, Jura Superstition (average price $42) a product from a single distillery on the Inner Hebrides Isle of Jura that blends old and young barrels for a unique flavor experience. If you’re a regular follower of Whiskyisms, by now you know I love the deep smoke and peat of the Islay whiskies. Jura Superstition is what I could call “Islay lite”, yet it’s too individual for comparison. Lightly peated, with hints of smoke from the nose to the finish, a dram reminds me of pine forests, the salt tang of ocean air, rich dark chocolate, that mellows into a pleasantly surprising sweetness of oak, and honey. 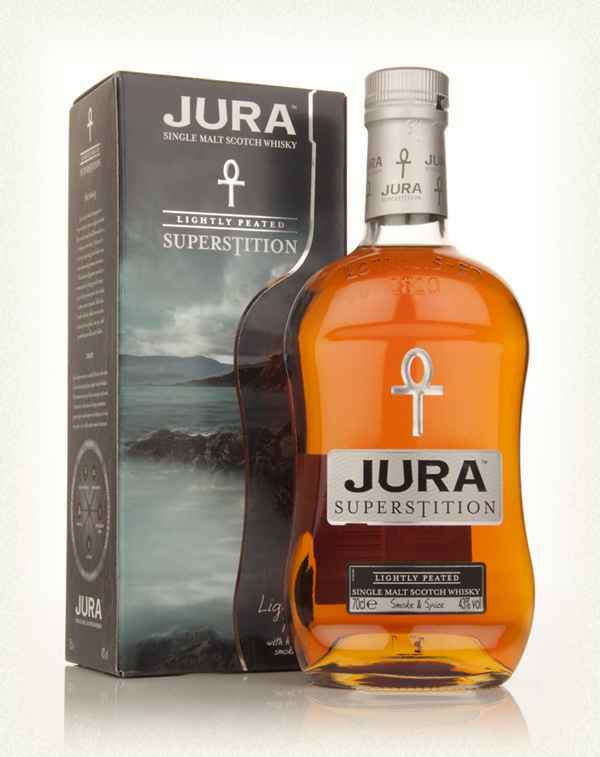 If you want to test the peat aspect of single malts, Jura Superstition is a good whisky to start with. Moving up the value scale, again, there are numerous whiskies that fit the bill, but I’d rather tell you about the ones I’ve actually tasted. So, digging a little deeper into the pocket-book brings me back to two more amazing products of William Grant & Sons, The Balvenie Caribbean Cask, and The Balvenie Single Barrel 12 yr. It’s standard practice for Scotch distillers to extra age whiskies in port, and/or sherry casks, which does deliver a lovely flavor and finish, but Grant & Sons took this one step farther by aging their whisky in rum casks, creating the delightful Balvenie Caribbean Cask ($53 – $56). 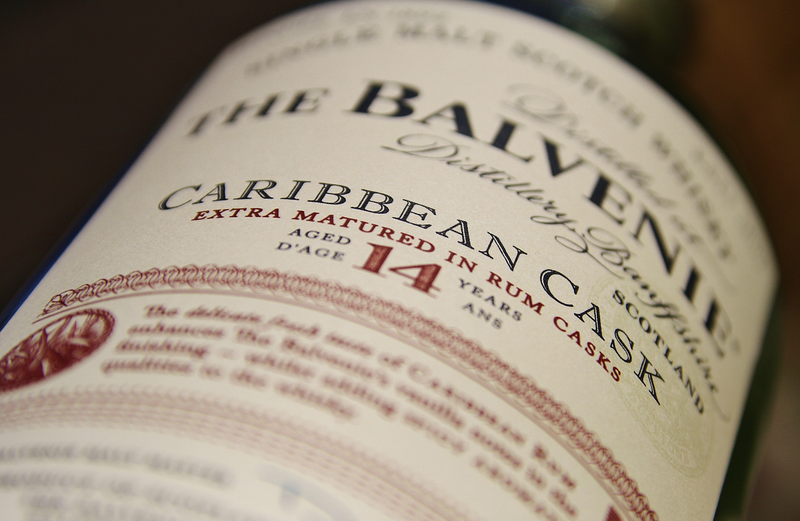 The rich, creamy nose instantly transports me to the tropics, with the aromas of fresh fruit, and hints of toffee. The first sip will surprise you, as there is zero smoke, or anything remotely hinting at your typical single malt, except for the sweet notes of oak that blend with vanilla, and fruit. It’s really hard to describe, as the flavors develop as you sip, leaving you with a very nice lingering, sort of muzzy finish. The perfect pour for warm, summer nights. The Balvenie Single Barrel (same price point as Caribbean Cask) is also devoid of any smoke, but heavy with the sweetness of honey with a faint hints of spice, and fruit in the nose, yet the palate is deep, very complex with a lovely blend of tangy oak, and sweet vanilla. This is definitely a good dram for a cool autumn evening beside the hearth. Last but not least in this price range, is another Island whisky, Talisker Storm, ($50 – $55). Another NAS bottling, Talisker Storm smells and tastes very much like a storm-tossed ocean might, briny but not overwhelming with a faintly metallic tang tempered with hints of citrus that smooths out with spicy, dry oak, nicely finished with a creamy, and lightly lingering smoke. I equate this one to enjoying watching a thunderstorm at the beach, with occasional bursts of lightning that charge the crisp sea air with ozone. 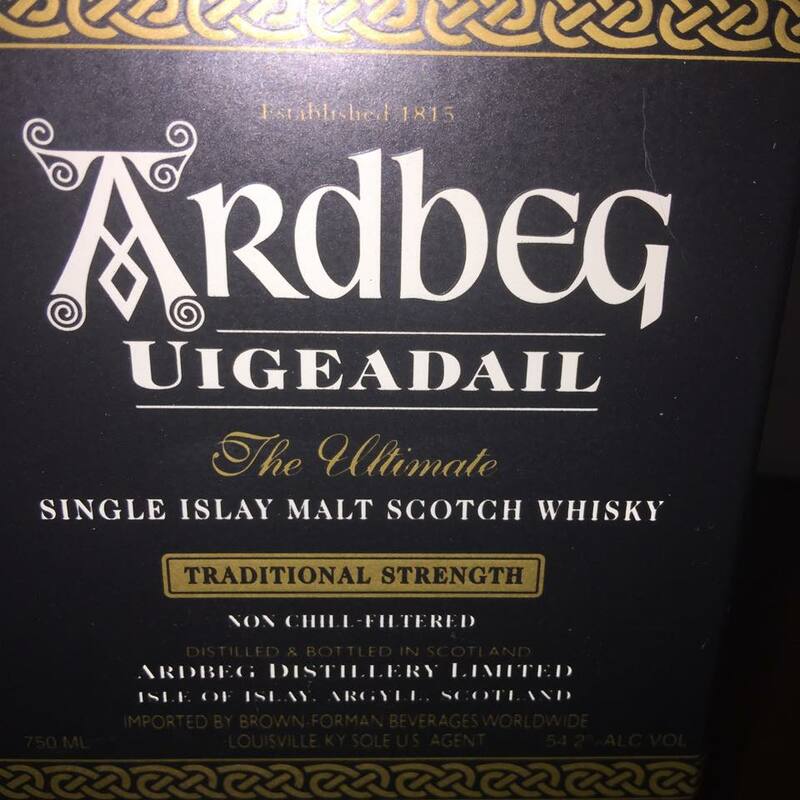 At the top of our price scale are some of my very favorite single malts, the first being an Islay whisky, Ardbeg Uigeadail ($64). The aroma alone is enough to make you sigh with contentment, as the scent of smoked bacon, barbecue, and brine fill your senses. The palate is another treat for your tongue as it presents complex layers of peat, burnt sugar, smoked malt, and finishes with a lasting flavor of caramel with a hint of espresso beans. This whisky lives up to it’s name, Uigeadail meaning “Dark mysterious place” in the Gaelic. Last, and very delicious is a classic , the Macallan 10 yr Fine Oak ($68). Clean and crisp aroma, with a heavy malted, oily nut flavored palate, enhanced by smooth, bourbon notes ending with a chewy oak finish. Expensive doesn’t always indicate quality, and there are some really cheap whiskies I wouldn’t even use to clean my jewelry, but what does matter is spending your hard-earned money on something you truly enjoy. There are plenty of single malts I haven’t tasted in this price range that you might find quite tasty, Tomatin 1897 14 yr, Abelour Abundah, Oban 14 yr, and Craggenmore 12 yr are just a few examples. As always, I can’t recommend attending tastings enough, as it’s a prime chance to sample a single malt you’re interested in before investing in a bottle, as well as learn about the distiller, and product history. Scots are Fantastic story tellers, as well as whisky makers, and the two art forms naturally go together, insuring a great story behind the creation of some of the finest whisky on the planet. So, next time you are in the mood to treat yourself, think beyond that mani – pedi, bypass the spa, and head to your local package liquor store, or go online to masterofmalt.com (That’s the site I used to check the prices for the whiskies discussed here, prices may be higher at local retailers) and treat your taste buds to their own spa treatment…. I mean it is called “the water of life”….. Remember to drink responsibly, designate a driver, don’t drink and drive! I’m working on a rather extensive new post, and the research is taking longer than I anticipated, so in order to keep my whisky blog current, and keep my reader’s attention, I thought I’d give you all the opportunity to ask any questions you might have about any type of whiskies. If you don’t have any questions, perhaps you have a whiskey/whisky related topic you’d like me to blog about. The holidays are just around the corner, so feel free to share drink recipes, and/or ideas for entertaining, and gift giving. I really would love to hear from you, get some feed back, hear what brands, types, or flavors of whiskies you prefer, and just in general learn more about my reader’s likes, and dislikes, and especially learn something new from y’all. I hope to get my next blog post up in the next week, and as I work towards that goal, I look forward to hearing from you. As always, drink responsibly, designate a driver, take care of each other! What do you think of when you hear/see the word scotch? Smoky sweetness, earthy peat, combined with dried fruits, and sea salt, maybe. Well, that’s all good and true, but there is one scotch whisky that transcends everything you ever thought about scotch. If you haven’t already experienced it’s uniqueness, today I am going to introduce you to one my most favorite adult beverages, an amazing elixir called Drambuie. Originating with Prince Charles Edward Stuart, aka the Bonnie Prince Charlie, this blend of aged whisky, heathered honey, herbs, and spices was his majesty’s favorite drink, known as “dram buidheach” (boo-yock) in the Gaelic, meaning the drink that satisfies. 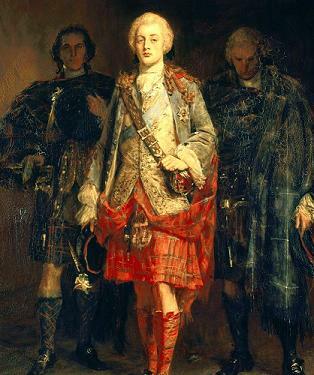 After his defeat by the British at Culloden, Highland clans aided the prince in his flight from the crown, one of them being the MacKinnon clan. As a reward for his help, Prince Charlie gave the MacKinnon his recipe for his favorite beverage, who began making it. Over the decades, the recipe has changed hands a few times, and been tweaked a wee bit, but almost 270 years later, it’s still pretty much the same. What is Drambuie? It’s scotch, although it’s usually stocked with the liqueurs in stores, but it’s the added ingredients that make it so delicious, and special. 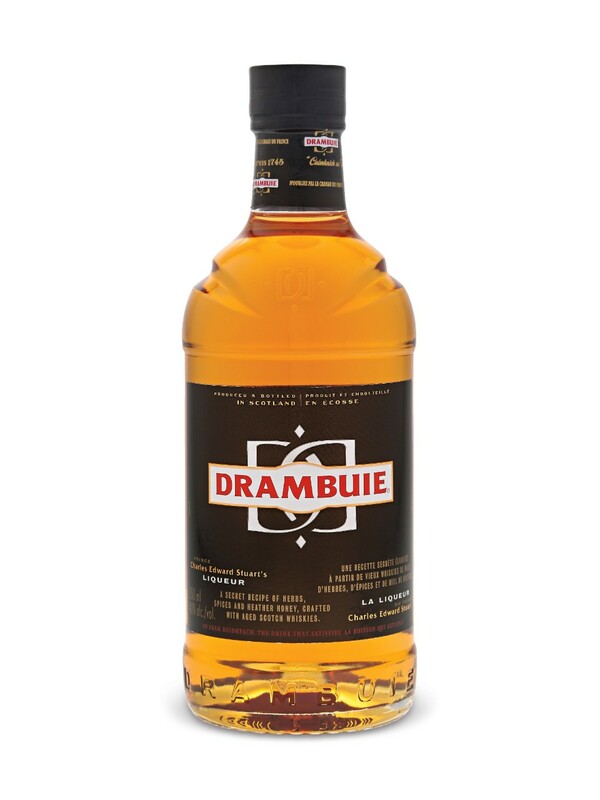 Imagine every Christmas morning of your childhood, contained in a bottle, the smell of aromatic spices, the tang of herbs and smoked meat wafting from the oven, the sharp, sweetness of cinnamon, nutmeg, cloves and citrus fruit drizzled with honey come to mind each time I smell Drambuie. The taste reflects the aroma, but I love the top note of licorice, or anise maybe, the bottle just lists ingredients as heather honey, herbs, and spices, what those herbs & spices actually are is a closely guarded secret, but the first sip always reminds me of the black jelly beans, everyone else picked out of their Easter Baskets as undesirable. The nip of licorice quickly fades, and blends into a finish that reminds me of mulling spices, and clove oranges mingled with honeysuckle and wildflowers. Now, Drambuie is excellent alone, neat, on the rocks, or mixed with a splash of water. 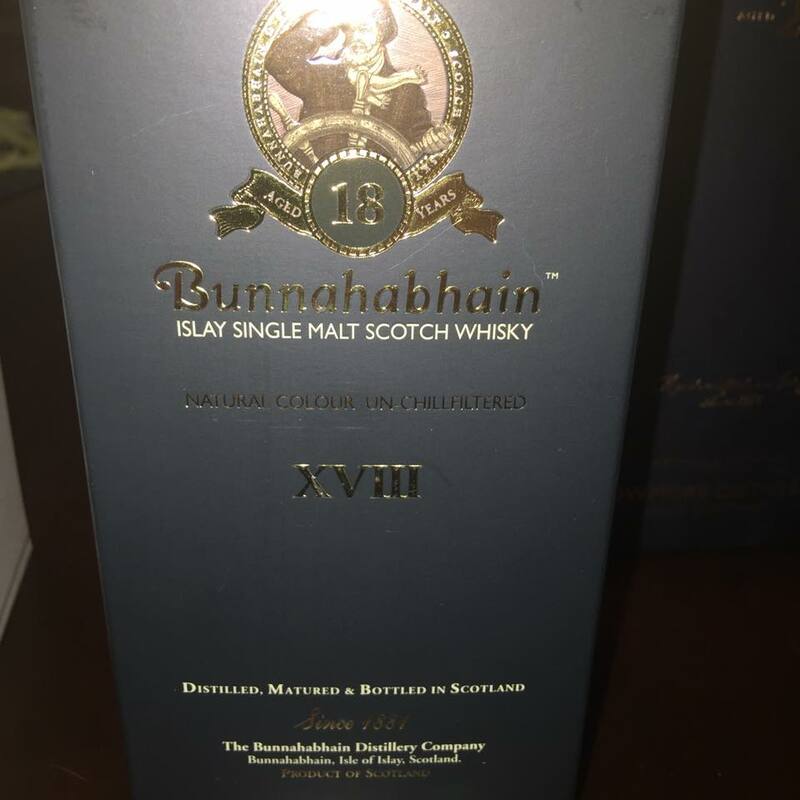 My personal favorite is mixed with blended scotch, ( I prefer a blended whisky to a single malt, mainly because I refuse to defile good whisky, but blended scotch tends pair better, the complex flavors melding rather than competing, as would say an Islay, or any heavily peated single malt would. Although, if you want to tone down the sweetness, try it.) such as Monkey Shoulder, thus creating the cocktail once the trademark of the Vegas RatPack, known as the Rusty Nail. Of course, since I restrict mine to using only Monkey Shoulder, it has since been dubbed a Rusty Monkey. Ask for it at Lock & Key whiskey bar in Baton Rouge, and tell them you read about it here. You can also find some very unusual, and interesting cocktail recipes online, at drambuie.com, and shaunthebartender.com . So, if you’re tired of the same old, same old, and your taste buds need an adventure, I highly recommend trying Drambuie, or if it’s been awhile since you last tried it because you weren’t too sure about the licorice, try adding it to your favorite sangria recipe, and in cooler weather it’s quite nice in coffee, or cocoa, and makes the best medicinal hot toddy. If you find you truly enjoy this extraordinary drink, and want to explore further, there are two more excellent expressions from the House of Drambuie, First is the Drambuie 15, made with a selection of 15 year old Speyside single malts, and the very rare, and expensive Jacobite Collection, created with 45 year old malt whisky. As always, drink responsibly, and please, designate a driver! Liquor lingo can be pretty confusing, and about as easy to decipher as properly pronouncing Gaelic. If you’re intimidated by listening to other whiskey lovers discuss terminology that sounds like a foreign language, here’s a crash course in what I’ll call Whiskyology 101. No worries, it’s not rocket science, you just need to know some key terms, and what they mean. Granted, scotch names, and their distillers usually require a Gaelic translator, but you don’t have to pronounce it perfectly, to enjoy drinking it. One of the most popular, and confusing trends mostly with bourbon, are the single barrel, and small batch produ.cts. You will also see this trend with some single malts, but usually termed single cask, rather than barrel. What does single barrel, and small batch mean? What’s the difference? Single barrel, means each bottle comes from an individual aging barrel, instead of being blended with the contents of various barrels for uniformity of color and taste, as is usual. This mixing of barrel contents does not make a blended whiskey. Combining the contents of more than one batch, or even differing years is done to achieve consistency. The whiskey from each barrel is separately bottled, marked with the barrel number, and often with the beginning and finish dates of aging. This single barrel bottling is believed to contribute unique, distinctive characteristics to the finished product. I’ve found this to be pretty much the case among the single barrel Bourbons I’ve tried. Most recently I sampled John Bowman Single Barrel, a Virginia bourbon with a hint of pear in the aroma (nose), and a crisp, cherry wood palate, with a kinda salted finish. Others I’ve tried, and really enjoyed are Four Roses Single Barrel, which is also rather inexpensive for a premium pour, and Colonel E.H. Taylor Jr. Single Barrel, which is a little higher on the price scale. Small batch is the term used to describe the practice of combining the contents of a small number of selected barrels in a limited number of bottles. You’ll see this mostly with premium Bourbons, and rye whiskey, although a very limited number of single malts offer small batches. The Bourbons are aged, on average, 3 – 6 years in oak barrels, (Scotland requires by law, whisky age no less than 3 yrs before bottling) but there are more limited series of longer aged, up to at least 23 years, available. Batch size varies by distiller, the number of bottles available, naturally depends upon the number of barrels selected, each bottle numbered, for example, as bottle #35 of a 1500 bottle batch. One of the best known small batch producers, is Jefferson Reserve, a very floral palate, but smooth. 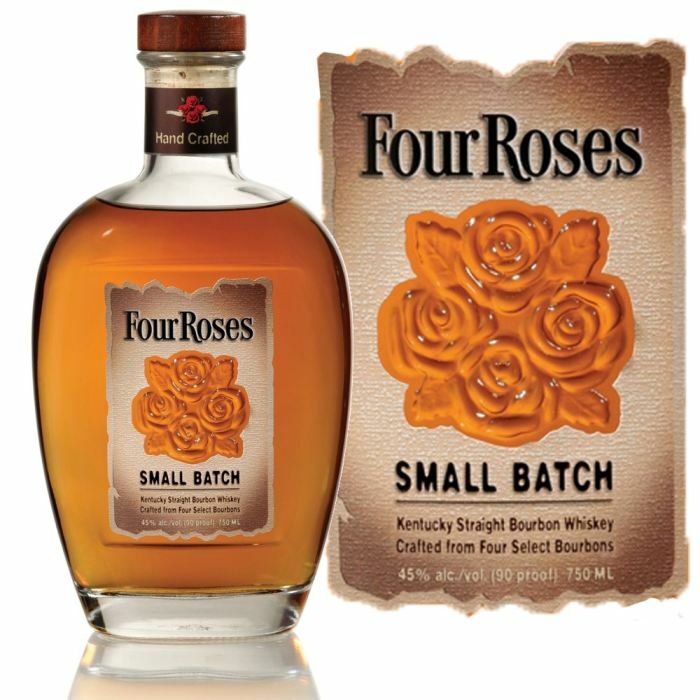 My favorite small batch Bourbons are Four Roses Small Batch, and Michter’s U.S. Bourbon Small Batch, a nice clean, oak, nose, with a hint of citrus in the taste, and a very pleasant caramel finish. Bowmore Small Batch Reserve, is my pick among the single malt offerings. Smooth, crisp and light for an Islay whisky, perfect for warmer weather sipping. The number of single malt whiskies on the market can be overwhelming, even to those with some knowledge of the product, but especially to the novice drinker. What does “single malt” actually mean? Single malt simply means a whisky made of only malted barley from one individual distillery. Another term you might commonly see on a single malt label is “Non Chill Filtered”. 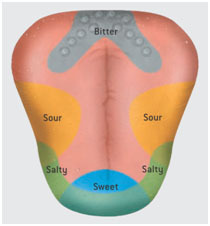 This is a rather controversial process among hard-core scotch aficionados, as some argue it affects the flavor of the whisky, others believe its merely a cosmetic treatment, as a single malt that is 46% or lower ABV (alcohol by volume) that has not been chill filtered, will become cloudy when water, or ice is added to the glass. Just what is this chill filtration that has people debating it’s merits? Chill Filtration is designed to remove sediments and impurities, by dropping the temperature of the single malt whisky to zero degrees Celsius, (-4 degrees for blended whiskies). Once chilled, the whisky is passed through several finely woven metallic meshes, or paper filters under pressure. How much residue is collected depends on the number of filters, amount of pressure, and speed used during the process. The slower the speed, and lower the pressure, the more residue, (such as cask residue known as “coals”) can be removed, but it’s more costly. The residues removed, such as natural fatty acids, esters, and proteins in the whisky all occur naturally during the distillation process, and over years become bottle sediment if stored in a very cool place. Cloudiness, and sediment are viewed as undesirable by the wider whisky drinking public, but honestly, a bottle doesn’t get too long to settle at my house before it’s empty, so a little debris or cloudiness is not offensive to my palate. Almost every single malt distiller offers a non chill filtered product, one that I recently tried fits every description I’ve listed in this particular blog post, and that would be The Glenlivet NÀDURRA 16 yr Natural Cask Strength. Nàdurra meaning natural in the Gaelic, which is what this whisky is, right down to its aging in first fill oak barrels. One more trend gaining popularity in both single malt scotch, and Bourbons is the production of “cask strength” (single malt) or “Barrel Proof” (bourbon). Cask Strength/Barrel Proof is the strength, or potency of the whisky as it comes from the cask, and is bottled with no further dilution, resulting in a strength anywhere between 40% to 65% ABV, depending on the age of the cask. The younger a whisky is, the higher the ABV usually is. Some cask strengths are better than others, and whisky, like most things in life, gets better with age. Being a “peat head” Bruichladdich’s Octomore 6.1 is my favorite cask strength single malt of the moment, which is odd considering it’s only 5 yrs old. (Remember, in Scotland, scotch must be aged 3 yrs, by law, before it can be sold). I will admit, it ain’t for wussies. For those less daring, I suggest trying Makers Mark Cask Strength bourbon. Since we are speaking of age, the age on a single malt bottle is important, for several reasons. First off, just like those of us ladies who hide, or fib about their age, the numbers denoting the years on a whisky bottle can be misleading. For example, if that bottle of Laphroaig says it’s 10 years old, what that really means is the youngest batch used in that bottling was aged for 10 years, and there could be some older mixed in. By law, a bottle can only be marked with the number of the youngest whisky used, so when going to purchase a bottle, be aware that the older it is, the more expensive it’s likely to cost. Bourbon distillers, I’ve noticed are trending away from age labeling their products. Well, now that you know what all that gobbledy gook means on your whisky bottle, you should be better equipped to shop, and purchase adult beverages that suit your tastes. As always, I highly encourage you to attend local whisky tastings (especially if FREE!!) sponsored by local whiskey bars, or whisky clubs. These gatherings are designed for people, both knowledgeable, and novices, to sample new products, ask questions, and learn more about the samples offered, including navigating the information listed on the label. With a little time, and research effort, you’ll be able to “talk whiskey” anywhere, with anyone. Class dismissed. Always drink responsibly, don’t drink and drive, designate a driver! Summertime evokes images of tropical umbrella drinks filled with rum, the same old pina colada, or calorie laden fruit punch. Margaritas and daiquiris are classic beach/poolside libations, but if you’re finding yourself searching for a taste sensation, I highly recommend trying a light, refreshing cocktail made with bourbon, or rye. One of my favorite drinks year round is Maker’s Mark bourbon, and diet ginger ale. It’s light, bubbly, and less calories than most mixed drinks. For extra flavor you might try mixing it with ginger beer. Add a splash of Cointreau, grenadine, fruit juice, or muddle with citrus fruits such as blood orange, lime, lemon, and garnish with maraschino cherry and/or an orange slice served in a Collins glass for a unique variation of a traditional cocktail. Rye whisky, such as Sazerac, and my favorite, Knob Creek rye are also great whiskies for mixing delicious summer drinks, as it combines well with Absinthe, citrus, and simple syrup. There are several excellent, and easy recipes on the Knob Creek web page, such as the Rye Blackhawk which combines Knob Creek Rye with Dekupyer Sloe gin, and maraschino cherry, or the Spice of Life that combines Knob Creek Rye, white peach nectar, ginger beer, and muddled mint. Both can be chilled and strained, or served over ice in a rocks glass, a cool cocktail perfect for patio parties on warm summer evenings. You may also be pleasantly surprised to find that most bourbons, especially those favored with maple or honey, mix well with the southern summer staples sweet tea, and lemonade. Wild Turkey American Honey is my go to for these concoctions, and they are perfect for mixing in large quantities to have a pitcher ready to greet hot, thirsty guests. Try different variations adding ginger ale, or beer, orange soda, fresh basil, mint, or rosemary, or fresh fruit such as oranges, lemons, limes, berries, peaches, or pineapple. All blend well with sweet tea, and lemonade, making it simple to create your own signature summer beverage. Most bourbon distillers have a variety of recipes on their web pages, Woodford Reserve offers tutorial videos, Knob Creek diversity, and of course you can always count on Southern Living to provide numerous, delicious, traditional, and non-traditional bourbon cocktail recipes. The most important thing to remember, is be creative, experiment, you’ll be amazed at the variety of mixtures, and flavors that compliment bourbon, and rye. Invite your friends over for a mixing party, asking each guest to bring their favorite ingredient, or brand of whiskey. Don’t hesitate to try your favorite concoction frozen, making an already refreshing drink even more so. So, forget about that coconut rum with the fancy umbrella, and delve into the amazingly tasty world of bourbon, taking summertime sipping to a whole new level. Always drink responsibly, designate a driver! I try to be perceptively positive when it comes to trying new whiskies, any whiskey. I like to experience new flavors, learn new things about the whisky industry, compare, discuss, and get other whisky lovers opinions. I find it not just interesting, but that’s a great way to learn about new products, and/or obscure brands, or even old standards I haven’t tried. One thing I’ve learned for sure, is that everyone’s palate is individually unique, and when sampling bourbon, scotch, rye, or Irish whiskies, the imbibers should trust their taste buds. Everything trends, be it fashion, food, or even booze, and whiskies of all kinds are very popular right now, especially among women. Just like with fashion, trends aren’t flattering to all figures, and just because someone says it’s all the rage, or the same outfit is popping up on magazine covers, and celebrity behinds, does not mean it has to suit you too. There are some whiskies that get over hyped, win awards, but disappoint and fall short of expectations because they honestly don’t taste good. Again, taste is a very personal, individual thing, but just because it’s the oldest, or the most expensive, or the highest awarded, does not mean it’s the best tasting. As with people, some will love it, others not so much, and it’s okay to voice your dislike, or opinion. Nor do you have to drink it. I like peat when it comes to scotch, that’s my preference, but I don’t limit myself to those flavors. I also like a nice woody, fruity finish, a little sweetness at the end, so I also enjoy some Highland, and Speyside whiskies, especially those extra aged or finished in sherry, bourbon, or port casks. My bourbon tastes are a little different, as I prefer a heavier oaken tang, with a smooth, sweet finish. One thing I expect from any type of whiskey is a distinctive flavor, something that stands out, and makes that particular batch, or bottling shine. When that doesn’t happen it’s truly disappointing, especially if a whisky has been highly touted, recommended, or awarded. Even though I stated in a previous blog that I would never discuss the poorer quality, or brands I deem unworthy in this blog, I’ve changed my mind. I can do that, I’m a woman and it’s my frigging blog. There are songs, and stories about it, and its black label is legendary, but Jack Daniels just leaves me flat and blah. Sure, I swilled it like a frat boy in my younger, wilder, less discerning days, but with so many higher quality Bourbons on the market, like Gentleman Jack, why waste money. Another more recent disappointment was Yamazaki 18 yr single malt. While I will admit that I had preconceived notions regarding a Japanese made single malt scotch, I was truly expecting to be pleasantly surprised. I was not. There was nothing extraordinary about it, nothing even nominally outstanding about it, just flat and flavorless. Smooth is the most positive thing I can say about the stuff. There are a few others I will only mention, no need for negativity here by detailing their short comings. Dewars, Cutty Sark, Canadian Mist, Crown Royal, and Seagrams 7. Enough said. Discussing whiskies can be like religion and politics, some folks get riled when you bad mouth their favorite poison, but for the most part, us whisky peeps are lovers, not fighters, and as long as we are talking about the subject we hold most dear, we can agree to disagree, but don’t expect us to get the next round. The key is not to allow my opinion, or anyone else’s to sway you when it comes to what you like. You know what flavors you enjoy, and just because everyone else is sipping some fancy cocktail doesn’t mean you have to follow suit. Revel in your independent tastes, because you can’t always trust a man, or a friend, but when something is nasty, it’s nasty, and you can always trust your tongue…. Ok, yeah that’s fodder for a totally different kind of blog. Damn! Always, drink responsibly, don’t drink and drive!